1. Click on the Start button. 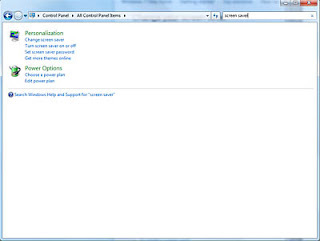 Select Control Panel. 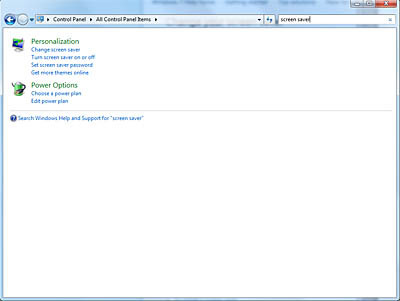 In the search box, type in “screen saver”. In the results list, choose “Change screen saver”. 2. Click on the Start button. Select Control Panel. Find the Personalization icon. In the menu, choose the Screen Saver option at the bottom. The Screen Saver Settings window has basic functions to customize the system’s default screen savers. 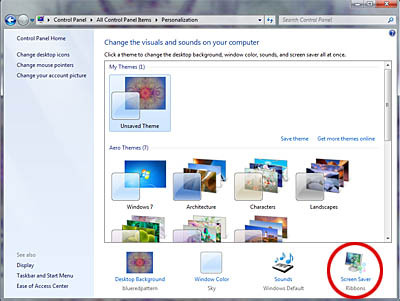 If you click “Settings” to the right of the currently selected screen saver, you can adjust the features if they are available. To install a third-party screen saver, follow the manufacturer’s instructions. 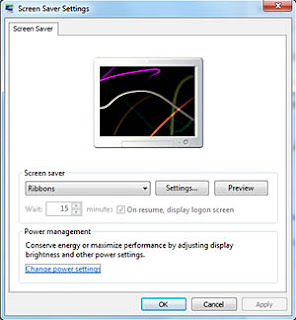 IMPORTANT: Use only screen savers from legitimate sources. These programs commonly carry viruses, adware and other malware that can affect your system.